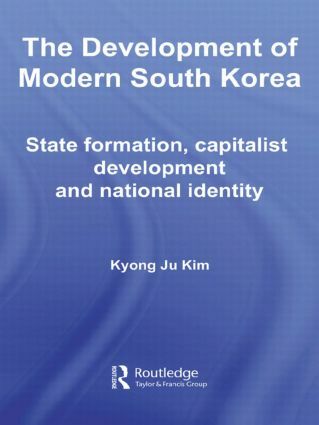 The Development of Modern South Korea provides a comprehensive analysis of South Korean modernization by examining the dimensions of state formation, capitalist development and nationalism. Taking a comparative and interdisciplinary approach this book highlights the most characteristic features of South Korean modernity in relation to its historical conditions, institution traditions and cultural values paying particular attention to Korean's pre-modern civilization. Kyong Ju Kim has been a research fellow at La Trobe University, National University of Singapore and Seoul National University, and a teaching fellow and visiting lecturer at Victoria University of Wellington, New Zealand.